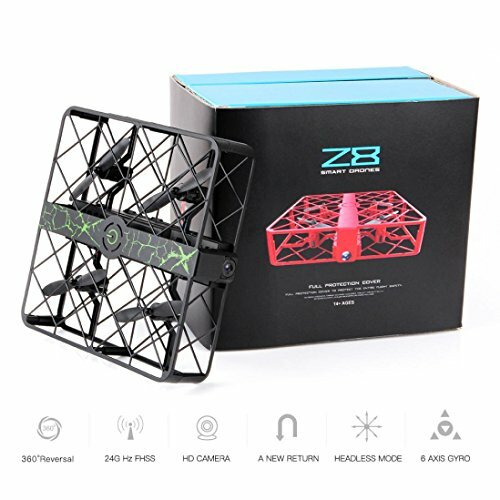 Unique net cage protective frame for strong structure and care free indoor flight. 3D-flip function and headless mode make your flight exciting and fun. Newest 6-Axis Gyro control system ensures stable flight and easy operation. With one-key return function, the drone can find its way back home easily. If you have any questions about this product by NOMENI, contact us by completing and submitting the form below. If you are looking for a specif part number, please include it with your message. "JJRC H8C DFD F183 RC Quadcopter Extra Camera Set With 4GB Memory SD Card & Card Reader "